Adolphe Adam (born July 24, 1803, Paris, France – died May 3, 1856, Paris) was a French music critic, composer of the Romantic era, the author of numerous operas and ballets. He was one of the most prolific composers for the Paris stages. Today he is best remembered for his ballet scores Giselle and Le Corsaire and Christmas carol Cantique de Noël, translated to English as “O Holy Night”. Adolphe Adam was born in Paris, he was the son of prominent Alsatian composer and professor at Paris Conservatoire, Jean-Louis Adam (as professor, he was the teacher of a number of notable students, including Friedrich Kalkbrenner, Ferdinand Herold, Henry Lemoine and Joseph Daussoigne-Méhul). Despite being from a musical background himself, Adam’s father discouraged him from a career in music as much as he could as he strongly disapproved of it for his son. As a child, Adolphe Adam preferred to improvise music on his own rather than study music seriously. Adam was assured, however, and decided he wanted a career in music despite his father’s wishes. He studied and composed music in secret with Ferdinand Herold, a popular composer of the day. But the boy was eager, and finally, at seventeen, he was permitted to enroll at the conservatoire on condition that he would eschew the musical stage. He entered the Paris Conservatoire in 1821, where he studied organ and harmonium under the famous opera composer François-Adrien Boieldieu. Unfortunately, despite much success and musical development whilst studying at the conservatoire, he failed to win the Grand Prix de Rome, getting second prize instead, at which point his father did not encourage him towards a career in music. By age 20, he was writing songs for Paris vaudeville houses and playing in the orchestra at the Gymnasie Dramatique, where he later became chorus master. Like many other French composers, he made a living largely by playing the organ. Adam helped Boieldieu to orchestrate the overture to his opera La Dame Blanche in 1825 and arranged a piano reduction of the score. Adam met the playwright-librettist Eugene Scribe on tour in Geneva in 1826 and soon afterwards he made a successful debut at the Opera-Comique with Pierre et Catherine in 1829. By 1830, he had completed twenty-eight works for the theatre. The flood of works that followed was stemmed by the aftermath of the 1830 revolution, and Adam spent some time in London. His brother-in-law, Francois Laporte, was musical director at Covent Garden and through him a couple of Adam’s works were staged there in 1832. In 1833 he produced his full-length ballet Faust at the King’s Theatre. Up to then he had written in the conventional opera-comique style, but in La Chalet (1834) he wrote what is considered to be the first true French operetta, light and frivolous with music nearer to the popular vaudeville idiom. The opera which established his reputation and has been most frequently performed is Le Postillon de Longjumeau (1836): the aria Mes amis, ecoutez l’histoire (“Come, friends, and listen to the story”) has remained a tenor favorite. The peak of his success in writing for ballet came with in 1841 with Giselle, ou Les Wilis which premiered at the Paris Opera on June 28, 1841. This was followed by another successful ballet in 1842 with La Jolie Fille de Gand. However, after an artistic disagreement with the director at the opera house with which he was working, Adam borrowed a lot of money in order to open a fourth opera house in Paris. The Théâtre National (Opéra-National) opened in 1847, but the revolution came, and it closed forever, leaving Adam deeply in debt. After the failure of his theatre, Adam had to turn to music criticism for a while in order to earn a living. In 1849, he was appointed professor of composition at the Paris Conservatoire. He created his last great ballet, Le Corsaire, in 1856. Prolific to the end of his life, he died in his sleep four days after the premiere of Les Pantins de Violette. His reputation during his lifetime was not limited to his own country. He wrote ballets for London, Berlin and St. Petersburg, which capitals he also visited personally. The ballets which brought him some of his greatest successes were Faust; La Fille du Danube; La Jolie Fille de Gand, and especially Giselle. Richard en Palestine is considered his most successful grand opera; Giselle, his most successful ballet; and Le Postillon de Longjumeau, his most successful comic opera. 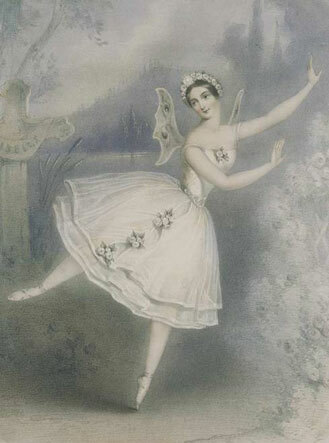 Giselle is considered the very essence of the Romantic ballet. The work is central to the ballet repertory all over the world. It is regarded as the absolute masterpiece of Romantic dance theatre, a wonderful synthesis of style, technique, music and dramatic feeling, because of its exceptional score. The ballet was devised in 1841 from the collaboration of some of the major talents in literature, choreography and music in the Paris of the time. The idea for the ballet Giselle originated with French critic, poet and novelist Théophile Gautier. He was overwhelmed and personally ravished by the person and art of the ballerina Carlotta Grisi, and discovered what he felt would be the perfect theme for her while reading a translation of Heinrich Heine’s book on German legend and folklore. Gautier took an interest in Heine’s retelling of a Slavic legend concerning the Wilis, ghostly spirits of girls who die before their wedding day and who come out of their graves at night in bridal dress to dance until dawn. Should any man be caught in the forest while the Wilis are about their rituals, he is doomed to dance on and on until he drops dead from exhaustion. Gautier imagined a version in which a girl betrayed by her beloved dies of a broken heart but returns as a spirit to save him from retribution by the vengeful Wilis. From Heine’s account of the legend, Gautier saw the potential for a Romantic theme of beautiful women, white gauze and German moonlight. With the help of the famous librettist and playwright, Jules-Henri Vernoy de Saint-Georges, an authority on musical theatre, the legend of the Wilis was fashioned into a ballet scenario. Jean Coralli, the ballet master at the Paris Opéra, created the overall choreography, although the prima ballerina’s dances were to be devised by Grisi’s friend, the great dancer Jules Perrot. Perrot had in fact taken an active role in the writing of the story. Adam was quickly recruited for the new ballet, having written for the Paris Opéra before. Work on the score and its choreography began at once. The ballet was an unqualified triumph. Giselle became hugely popular and was staged at once across Europe, Russia, and the United States. Since then the plot has changed slightly in details. Sunny autumnal morning in the small peaceful village. Giselle, a shy and beautiful peasant girl, has fallen in love with Count Albrecht, who has led her to believe that he is a villager named Loys. Albrecht loves Giselle in turn, and this arouses the jealousy of the forester Hilarion whose love for Giselle is unrequited. Her superstitious mother, Berthe, hoping that Giselle will marry Hilarion, warns her against Loys (Albrecht), to whom she has taken an instinctive dislike. Hilarion tries to convince Giselle that her beloved Albrecht is not a peasant but a nobleman in disguise and that he is deceiving her, but she ignores his warnings. Albrecht’s squire, secretly warns him that a hunting party is approaching, led by the Duke of Courland and the Countes Bathilde (Albrecht’s bride), who are staying at Albrecht’s castle for the betrothal ceremony. Albrecht hurries away, not knowing he would be recognized by Bathilde. Hilarion decides to break in to Albrecht’s cottage to discover the secret of his identity. The hunting party arrives. The villagers welcome the party, offer them drinks, and perform several dances. Giselle dances for the noble. Bathilde is charmed with Giselle’s sweet and demure nature, when she tells Bathilde that she too is engaged, the Countess gives her a necklace, Giselle is honored when the beautiful stranger offers her a necklace as a gift before the group of nobles depart. The villagers continue the harvest festivities, Hilarion now reappears from Loys’s cottage with a hunting horn and a sword, further evidence that the supposed peasant is, in fact, a nobleman. Not realizing that the hunt is still nearby, Albrecht emerges again to dance with Giselle, who is named the Harvest Queen. Hilarion interrupts the festivities. He sounds the horn, the hunting party returns and Bathilde, coming out of the cottage, claims Albrecht as her fiance. All are shocked by the revelation, but none more than Giselle, who becomes inconsolable when faced with her lover’s deception. Knowing that they can never be together, Giselle flies into a mad fit of grief in which all the tender moments she shared with Loys flash before her eyes. She begins to dance erratically, causing her weak heart to give out. She dies in Albrecht’s arms. The moonlit second act takes place in a forest glade located somewhere between the village cemetery and a lake. Hilarion visits Giselle’s grave and mourns her death. As he weeps, the Wilis (the embodiment of the spirits of dance-loving brides who have died before their wedding day), dressed in all white, rise from their shallow graves and dance around him. Hilarion flees in terror when confronted by these apparitions. Myrthe, their queen, now arrives from the marshes and summons her Wilis. She draws Giselle from her grave to be initiated into their rites. 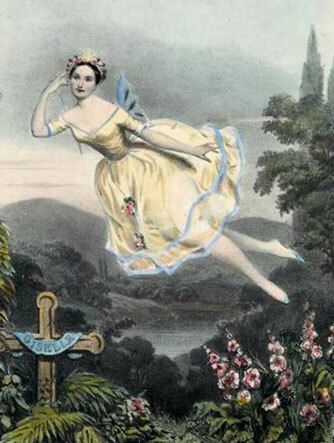 Albrecht, is unable to forget Giselle, comes to lay flowers on her grave and he weeps with guilt over her death. Giselle’s spirit appears and Albrecht begs her forgiveness. Giselle, her love undiminished, gently forgives him. She disappears to join the rest of the Wilis and Albrecht desperately follows her. Hilarion, pursued by the Wilis, returns and is forced into an endless dance. Exhausted, he is driven into the lake, where he drowns. Then the Wilis turn on Albrecht, sentencing him to death as well. When Myrthe commands him to dance, Giselle urges him to the safety of the cross, but he is powerless when Myrthe orders Giselle to entice him away by dancing with him. Giselle tries to sustain him, but as the night wears on he becomes weaker and weaker. Just as he is about to die, dawn breaks. Daylight destroys the Wilis’ power and the ghostly dancers fade away; Giselle, whose love has transcended death, returns to her grave, her spirits freed from the power of the Wilis, leaving Albrecht sorrowing and alone. Le Corsaire is a ballet in three acts based on the poem “The Corsair” by Lord Byron originally choreographed by the ballet master Joseph Mazilier to the music of Adolphe Adam. Byron’s famous narrative poem inspired several ballets, notably by Giovanni Galzerani (Milan 1826), and by Francois Decombe Albert with music by Robert Bochsa (London 1837). Joseph Mazilier’s was the most important version. Jules-Henri Vernoy de Saint-Georges’s scenario was of a superior quality, and so was the score by Adolphe Adam, his last, since he died a few weeks after the première. The ballet has many celebrated passages that are often extracted and performed independently – the scene Le Jardin Animé, the Pas d’Esclave, and the Grand Pas de Trois des Odalisques. The most celebrated is the Le Corsaire pas de deux, which is among classical ballet’s most iconic and performed excerpts. The ballet has been much revised throughout its long and complex performance history by way of later stagings in Russia, and Adam’s original score has acquired a substantial amount of additional music. By the turn of the 20th century the score credited contributions from Cesare Pugni, Duke Peter Georgievich von Oldenbourg, Leo Delibes, Léon Minkus, Yuly Gerber, Baron Boris Fitinhof-Schell, and Riccardo Drigo. The noble corsair Conrad, his friend Birbanto, and the other corsairs fight the violent, stormy sea. Slave girls are being sold by the merchant Lankendem in his bustling bazaar. Conrad arrives with his crew, he catches sight of Medora, the beautiful Greek foster daughter of Lankendem, and immediately falls in love with her. She throws Conrad a bouquet of flowers, each with a special meaning. The Pasha Seyd arrives with much fanfare, he espys Medora and is stunned by her beauty. The slave traders present him with their most attractive slave girls, but he is not interested. Spellbound, the Pasha asks Lankendem to present Medora to him. Lankendem first refuses, but eventually beckons her to meet the Pasha. The Pasha tries to impress her with precious gifts, which she refuses. When the Pasha offers ten times the price that he was originally prepared to pay, Lankendem agrees. Conrad commands his servant to steal Medora. The corsairs raid the village and kidnap Lankendem. Conrad, Birbanto and the corsair crew bring their booty to their hideout, a secluded grotto. Birbanto calls all the corsairs to bring the slave girls and Lankendem. Medora dances the famous pas de deux with Conrad and persuades him to free all the slave girls, but Birbanto opposes the idea and incites the corsairs to mutiny. When his mutinous plan fails, Birbanto devises a cunning scheme. He sprays a rose with a sleeping potion and forces Lankendem to help him pass the flower to Medora, who unwittingly gives it to Conrad. He inhales its aroma and falls into a drugged sleep. The corsairs and Birbanto return to the grotto and attempt to abduct Medora. In the ensuing struggle, Lankendem manages to steal Medora back and escapes. When Conrad awakes and finds that Medora is gone. Birbanto feigns ignorance and vows to help him find her. As the Pasha enjoys the dancing of his slave girls, Lankendem arrives with the veiled Medora. Seyd is delighted and declares she will become his number one wife. Delighted by all his lovely women, the Pasha dreams of them in a beautiful garden. The Pasha is awakened by the arrival of Conrad, Birbanto, and the corsairs, all disguised as pilgrims. He invites them to enter the palace. Medora recognizes Conrad. Suddenly the pilgrims throw off their robes and reveal themselves as corsairs. Conrad is captured and condemned to death. To save his life, Medora pretends to consent to marriage with the Pasha, while secretly plotting escape with the slave Gulnare. The latter impersonates Medora during the wedding ceremony so that the ring is placed on her finger. That evening, Medora, taking back her identity, dances before the Pasha, after having induced him to lay down his pistol and sword. On the stroke of twelve Conrad enters through a window, and escapes with Medora, while Gulnare, showing the ring, declares herself to be the Pasha’s lawful wife. The corsair ship sails upon a calm sea. Conrad, at the helm, cradles Medora in his arms. Suddenly a fierce storm blows across as lightning illuminates the darkening sky. Gusting winds shred the sails and a lightning bolt snaps the ship’s mast in half. The ship sinks amidst the relentless, turbulent waters. As the storm clouds dissipate and the sea calms, the moon rises to reveal Conrad and Medora clinging to a rock and offering thanks for their miraculous survival. Adam’s score is a masterly creation, consistently rich in melodic inspiration, engaging in the set dances (like the Pas de nations in act 1), imaginative in the many extended mime sequences, more richly symphonic than ever before in his work. The Epilogue is a tour de force, providing a beautiful evocation of the sunset over the Black Sea, the ebullient celebration of the Bacchanale on board ship, the menace of the gathering storm, the unleashing of the tempest, the violence of the shipwreck, and the supreme rapture of the salvation of the lovers. The quiet opening theme, capturing the beauty of the sunset, is thematically transformed into tumultuous salvific thanksgiving in the closing bars of the ballet. Adam reached a height of inspiration in the last music he ever wrote for the stage. Cantique de Noël is one of the most beautiful of all Christmas carols, with excellent lyrics and a superb melody. From its humble beginnings to its rise and fall and rise again in popularity, this worshipful song is connected to some very inspiring moments in history. It is still sung around the world and is one of the most beloved Christmas Hymns of all time. In 1847 it started with a French poem written by Placide Cappeau, a wine merchant, mayor of the town, and an occasional poet, who had been asked by a parish priest to write a poem for Christmas mass. After reading the Gospel of Luke for inspiration, he envisioned what it might have been like to have been in Bethlehem to witness the birth of Jesus. From there, he penned the now famous words to Cantique de Noël. Placide Cappeau felt that his poem deserved to become a song, but since he didn’t know anything about music, so he asked his friend Adolphe Charles Adam to set his poem to music. At first, Adam was reluctant to participate, but this request from a friend challenged him more than writing scores for orchestras and ballets performed in Paris, London, Berlin and St.Peterburg. As a man of Jewish ancestry, for Adolphe the words of Cantique de Noël represented a day he didn’t celebrate and he didn’t view Jesus as the son of God. Despite these obstacles, Adam merged his original musical score with his friend Placide Cappeau’s inspired words. Both lyricist and musician were pleased with Cantique de Noël and its first performance took place at Midnight Mass on Christmas Eve, 1847, in Roquemaure, France. Initially, Cantique de Noël was wholeheartedly accepted by the church in France and the song quickly found its way into various Catholic Christmas services. Then it became less popular because of the reputations of both Placide Cappeau and Adolphe Adam. Cappeau left the church later in his life and renounced its teachings. He became an active social radical and freethinker. This information, combined with news that the music was written by a Jewish man, caused the Catholic leadership of France to ban the singing of Cantique de Noël, claiming it was too secular and did not reflect the spirit of religion and it had a lack of musical taste. Yet even as the church tried to bury the Christmas song, the French people continued to sing it, and a decade later a reclusive American writer brought it to a whole new audience halfway around the world. By 1855, “O Holy Night” had been published in London and translated into many languages. The text supported Dwight’s own view of slavery in the South. Published in his magazine, Dwight’s English translation of “O Holy Night” quickly found favor in America, especially in the North during the Civil War. On 24 December 1906, Reginald Fessenden, a Canadian inventor, broadcast the first AM radio program, which included him playing “O Holy Night” on the violin and singing the final verse. The carol therefore was one of the first pieces of music to be broadcast on radio. Enrico Caruso, often considered the greatest operatic tenor who has ever lived, recorded a version of the song with its original French lyrics in 1916. Innumerable other singers and singing groups have also recorded the song. There is an unconfirmed (but frequently repeated) story that this carol figured prominently on Christmas Eve, 1870, during the Franco-Prussian War. The story said that, unexpectedly, a French soldier jumped out of his trench and sang Cantique de Noël. Instead of firing at the French soldier, a German soldier peered over the top of his trench singing a Martin Luther song. Vom Himmel Hoch da komm icher (“From Heaven above to Earth I Come”), a popular German hymn of the time. The German soldier sang his carol with as much feeling as the French soldier sang Cantique de Noël. 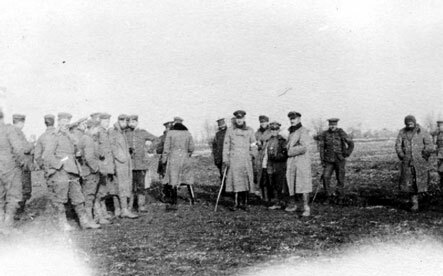 The traditional story said that for 24 hours, the soldiers on both sides held a temporary truce to honor Christmas Day, still singing their respective carols.